The one thing the game was clearly missing was Aether Foundation memberWicke, obliterating everyone with her thighs, riight? 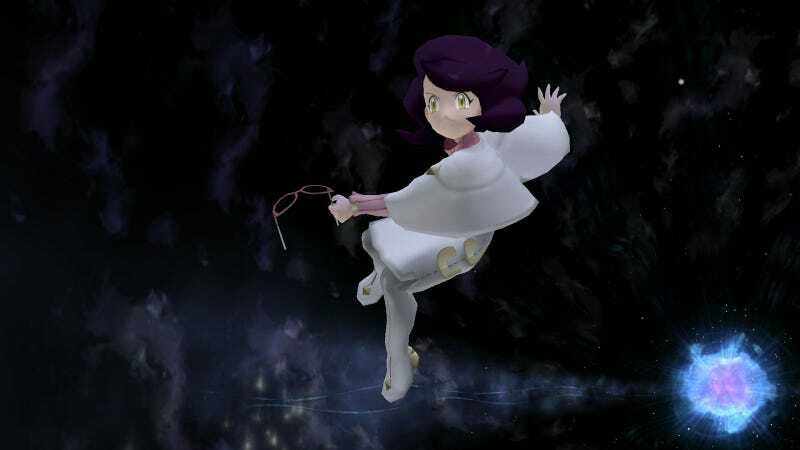 You never actually fight Wicke in Pokémon Sun and Moon, so this model's taken from her sprite form. The model is meshed into Peach's characters, so you have her moveset. Overwatch's latest comic "Reflections" went live today on the game's website. The comic is focused on the shifty pixie-like character, Tracer, and tells a pleasantly heartwarming holiday tale centered on several members from the game's cast. Tracer as depicted in the picture above, is seen kissing another woman who she appears to be living with. Emily is not part of the Overwatch team, and it is confirmed later on in the comic that she's dating Tracer when they attend Winston's holiday party together. "PALMS ARE DEADLY, KNEES WEAK, ARMS IS HEAVY!" Can you really blame 'em? He has to be able to juggle his pecs as an emote, and we won't accept anything less than a consistent string of quotes from his Old Spice commercials. The first one was reaaally pushing it, dude. Kevin Lee Co, a 45-year-old man out of Rocklin, California has come forward to plead guilty to charges of wire fraud and money laundering, after being caught by his employer for stealing $4.8 million between 2008 and 2015. Co, who reportedly used to work in the accounting department of Holt of California spent much of this money on decadent pleasures like fast shiny cars, NBA tickets, and home furniture, buut he also managed to spend around a million on what the courts initially described as an 'online video game'. If you could call it that. Turns out the game in question was a mobile game, 'Game of War.' Trying to stomach that for a second. This ingrate robbed his company of millions of buckaroons, and spent a whopping million on THAT game. Words fall short here, unfortunately. I hope it was worth it, man. Let's just watch the trailer now, cause Kate Upton and stuff.